Concealed soft-close door hinges. 3" backsplash. Four (4) functional doors. Three (3) functional drawers. Faucet not Included. Metal exterior hardware with brushed chrome finish. Plenty of storage space. Plenty of counter space. Medicine Cabinet Mirrors Included. Undermount Square Porcelain Sinks. Pre-drilled for a single hole faucet. Optional metal exterior hardware with antique bronze finish. 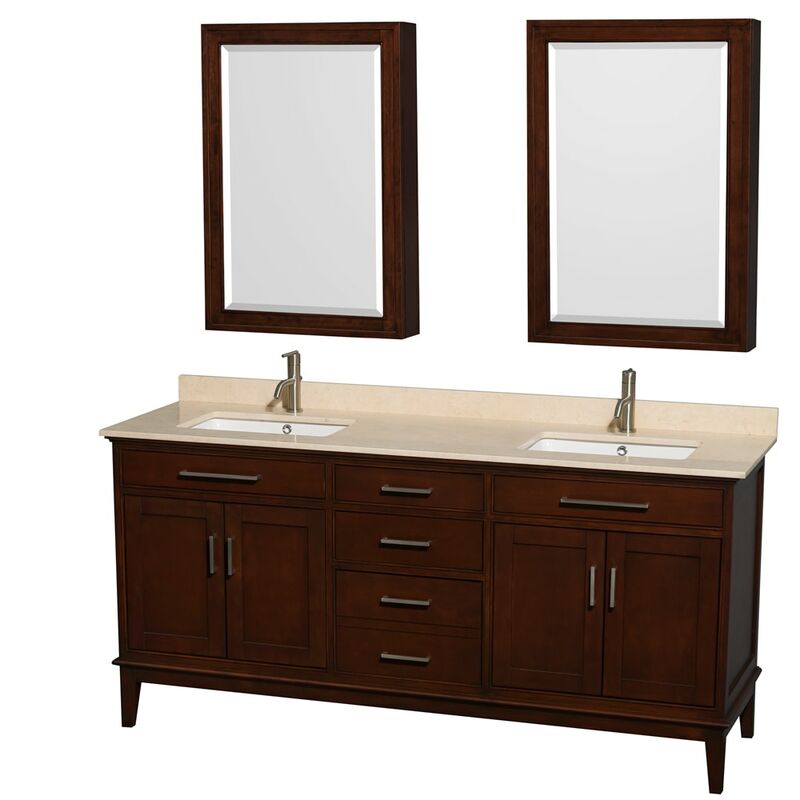 Dimensions - Vanity: 72" x 22" x 35"; Mirror: 24" x 6.5" x 36"